Samsung Electronics Co. said Sunday that preorders for its Galaxy Note 8 are setting new records in the United States. The world's largest manufacturer of smartphones said orders received since Aug. 24 are the highest tallied to date for its premium phablet Note line. 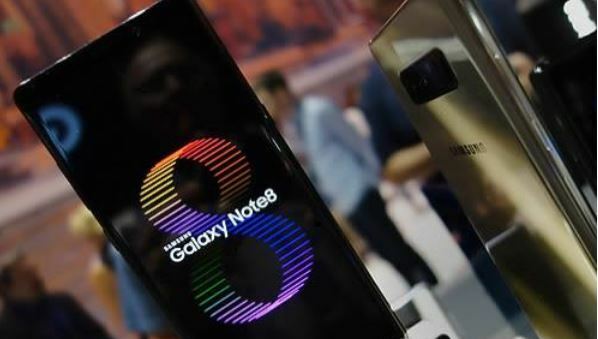 The company did not disclose exact numbers citing policy but said it was buoyed by the consumer response after the debacle of the previous year's Note 7 that was taken off the shelves completely after some caught fire while being recharged. The flagship comes with Samsung's first ever dual-lens setup on its top of the line device and advance stylus S Pen. It has a vibrant and contrasty curved 6.3-inch AMOLED display that has been rated as water and dust resistant, with users given the option to expand storage via SD cards in addition to internal memory. In the US, the base 64 gigabyte internal storage model comes with a price tag of around $929, although this does vary with the local carrier. Samsung said those that preordered the device will be able to get it starting Sept. 15. The announcement comes as the South Korean tech giant said it received about 400,000 preorders in South Korea on Friday, the first day it started taking purchase requests.